An ancient Wedding Song, collected by Alexander Carmichael from the Highlands in the Nineteenth century. A beautiful and unique Wedding gift for the 21st century. Letterpress printed in red and brown with a decorative cover. First edition of 30 is sold out. This second limited edition of 20 copies is printed on Saunders Waterford paper. 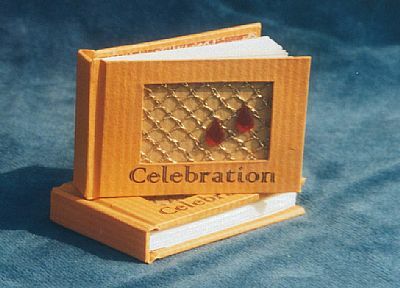 Celebration is a poem from Andrew Carmichael's Carmina Gadelica. Size 40 x60 mm. 20 pages.